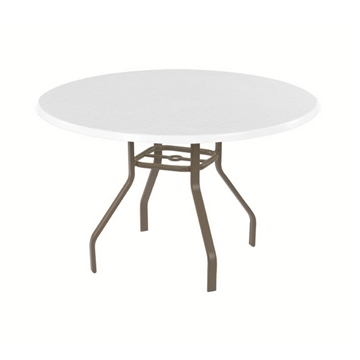 Help poolside patrons achieve ultimate relaxation by purchasing one of our commercial grade swimming pool side tables. These side tables are paired perfectly with our commercial chaise lounges while giving poolside guests a convenient spot to store food, drinks, and other belongings. 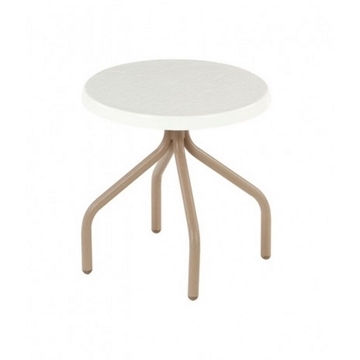 Our side tables feature tops crafted out of long-lasting materials such as fiberglass, acrylic, and punched aluminum. 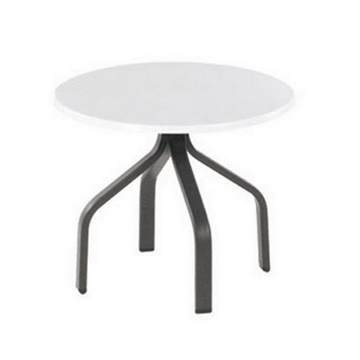 Including both round and square shaped tables that are available in seat heights from 15 to 28 inches. Call or chat with our staff today to find out about discounts on large quantity orders.